Puffiness, crow’s feet and dark circles…prepare to meet your match! This time last year, Indeed Labs launched Nanoblur, the optical illusion cream that makes skin appear flawless in seconds. 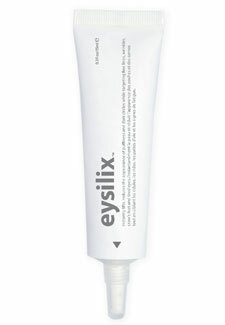 Meet Eysilix, £24.99, a new eye treatment that minimises dark circles, eases puffiness, boosts luminosity and smoothes wrinkles. A cocktail of peptides work on signs of ageing over time, while the cream forms a film over the area to instantly firm, smooth and lift. But what is really amazing about this high street cream is it contains a whopping 10 anti-ageing peptides – the first in the world to do so – and all for less than £25. Apply twice a day to clean skin. We’ve only been using it for a week so we can’t profess to the long-term results yet but as soon as you apply it, you’ll feel a tightening sensation. The lines around our eyes definitely look smoother for a few hours. Bag yours now!